Owner and Director of Premier Gymnastics since 1998, Nicki is a qualified Health and Physical Education Teacher with over 30 years of teaching experience as well as Coaching and Judging experience in Artistic, Rhythmic and Aerobic Gymnastics – all three disciplines offered at Premier Gymnastics. 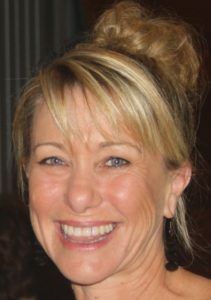 Nicki is currently a FIG Internationally accredited WAG Judge and Advance Coach and is also the State Judging Coordinator and State Course Presenter as well as a member of the SMC for Gymnastics Queensland. Education, Mentoring and Mangagment are Nicki’s area’s of focus.